Two men have been captured by officers of the Nigeria Customs Service on Wednesday after three relegations containing 140 types of snakes and 660 different creatures imported into Nigeria from Cameroon were caught. 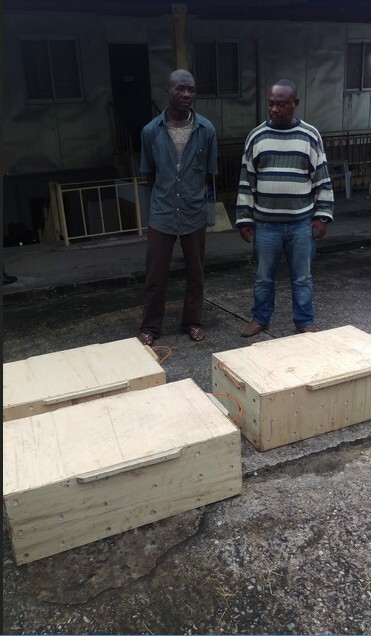 As per reports, the holders were acquired on board a Cameroonian vessel labeled 'MV Flesh' through the Calabar conduit to the National Inland Waterways Authority wharf in Calabar, Cross River State. Alternate creatures which were recognized as geckos, millipedes, bushy frogs and creepy crawlies, were said to be worth N6.9m. Traditions Area Comptroller accountable for Calabar Free Trade Zone, Cross River and Akwa Ibom Command, Mrs. Nanbyen Burromvyat, said the dispatches were caught by cautious officers on July 24 on landing in the NIWA wharf. She said that the dispatches, which were Lagos-bound, are disallowed things under the Schedule 3 of the Revised Import Prohibition List (Trade) in the Common External Tariff. Without opening the compartments for conceivable dread of escape, Burromvyat instantly gave over the things and the two speculates captured to specialists of the Nigerian Agricultural Quarantine Services for encourage examinations.